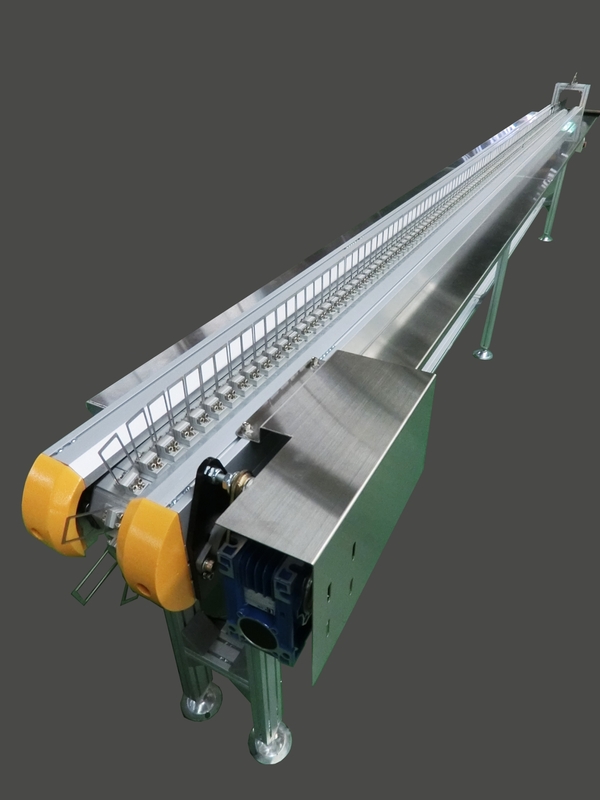 Conveyors,Belt Conveyors, Roller Conveyor, Screw Conveyors, Hopper Conveyors, Automatic Packaging Systems,Custom Conveyor, Metal Detector Conveyors,Slat Band Conveyors,Coding Conveyors,Incline Conveyors,Cleated Conveyors,Automatic Conveyor Machine System. The case is designed for zipper head inspection. Li Chen has designed a fixture locked on the aluminum belt to make zipper head standing, so that prosecutors can visually check to ensure quality and stability.